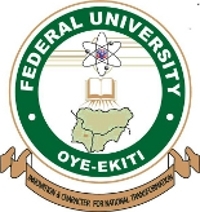 Federal University Oye-Ekiti (FUOYE) Acceptance Fee Payment and Registration Guidelines for Freshers/Newly Admitted Students for 2018/2019 Academic Session. This is to inform all the candidates offered provisional admission into the Federal University Oye-Ekiti (FUOYE) undergraduate programmes, for the 2018/2019 academic session, that they are required to pay their acceptance fee and online registration. Step 1:You are required to accept this Offer on or before 7th November, 2018. Details of registration procedure are as follows:. Step 5:Note that your initial password is “password”, provide any desired password of your choice in the new password fields to change your password.